Should you go for city-based health insurance policies? What determines the cost of your health insurance policy? The obvious answer is age, gender, health and sum insured. But there is one more factor - the city you live in. As the cost of medical care is higher in metro cities than in smaller cities, many insurers offer policies where people pay based on their area of residence. According to the Insurance Information Bureau, the average claim size in Hyderabad is Rs 33,192. In Mumbai and Delhi, it is Rs 46,806 and Rs 40,179, respectively. In Bihar and Jharkhand, the figure is Rs 9,000-11,000. In Maharashtra, it is Rs 36,514. Nikhil Apte, Chief Product Officer, product factory (health), Royal Sundaram Alliance Insurance, says: "The cost of hospitalisation is much lower in smaller cities. In metro cities we see more cases of lifestyle diseases, while in rural India claims are mostly for infectious ailments. That is why we have passed on the benefit to customers (of smaller cities)." Should you go for such plans? Sandeep Patel, CEO, Cigna TTK Health Insurance, says: "With zone-based pricing, one will have to pay lower premium if one is from a Tier-II/III city. This way a customer in Tier-II/III city will not cross-subsidise a customer in Tier-I city by paying the same premium." Suresh Sadgaopan, founder of financial advisory firm Ladder7, says consumers should be aware of what they are buying. "For example, a person should consider what would happen if he migrated from a metro city to a smaller city? Similarly, what are the restrictions if a policyholder living in a Tier-II/III city has to go to a metro city for treatment?" City-based pricing helps one pay premium as per the cost of treatment in his or her city but with some checks and balances. Here is what all is on offer. Premium: Several insurers offer discounts of 10-40 per cent based on the city you live. For example, for a couple aged less than 35 in Delhi, Star Health offers a cover of Rs 2 lakh for Rs 6,287. The same cover can be bought for Rs 4,562 (37 per cent less) if the couple shifts to a smaller city. Also, note that not all metro cities are classified as Zone-1. The list differs from insurer to insurer, which divide cities based on the cost of health care and their experience in different cities. Without any standard classification of cities, you need to be careful. For instance, in Max Bupa, Delhi comes under Zone-II, but in Star Health it is a Zone-1 city. You should not decide based on premium rates alone as features of these policies vary from insurer to insurer. V Jagannathan, Chairman and Managing Director, Star Health and Allied Insurance, says: "The premium may be less, but a policyholder may face difficulty if treatment is taken in a high-end hospital in a metro city. However, a lot depends upon specific conditions. Some policies offer choice to customers." Some insurers do not offer differentiation based on cities. Sanjay Datta, chief, underwriting and claims, ICICI Lombard, says: "ICICI Lombard adopts standard pricing for all health insurance products. Most people today opt for metro cities or specialised hospitals to avail of best health care. Standard pricing helps the insured avail of all benefits of the policy across cities." Migration: Insurers generally revise premium rates if a policyholder relocates from a Tier-I to a Tier-II/III city. Bhaskar Sharma, Managing Director, SBI General Insurance, says: "If a person moves to a smaller city from a metro city, then there will be a change in the premium component. There will be endorsement and he can take a refund. He may not necessarily have to change the policy as he can get treatment on same policy anywhere." Patel of Cigna TTK Health Insurance, says: "Migration is normally allowed at the renewal stage. If the customer wants to continue treatment in a bigger city, he can opt for that by paying a higher premium. He will not have to co-pay in future." Advanced treatment: You must find out how your insurer is going to pay you in case advanced treatment is needed. This is because different insurers offer you different features. For example, in case of SBI General Health Insurance, if a person having cover for a Tier-II city moves to a Tier-I city for treatment, he will get 80 per cent of the claim amount. For Tier-II/III, he will gets the full amount. 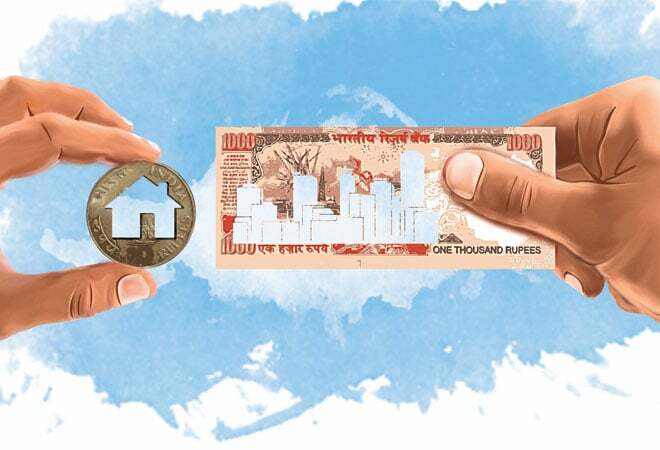 Similarly, a person having a plan for a Tier-III city will gets 80 per cent claim for treatment in a Tier-II location and 70 per cent for treatment in a Tier-I city. Some insurers, instead of restricting coverage, insert a co-payment clause for treatment in a higher category city. One example is Cigna TTK's ProHealth plan. The quantum of co-pay varies from policy to policy. Patel of CIGNA TTK Health Insurance says: "ProHealth provides waiver of co-pay in case of hospitalisation due to accident as we feel customers should not be penalised in emergency situations." There are also policies that do not restrict treatment or impose co-payment for undergoing treatment in bigger cities. Somesh Chandra, Chief Operations Officer and Chief Quality Officer, Max Bupa, says: "The good part is that a health companion customer in Tier-II/III cities can easily avail of treatment in the city of his/her choice. While he gets an advantage in terms of discount in premium (up to 10 per cent), we do not restrict him from availing of treatment in a Tier-I city. Policy terms and conditions remain the same. There will not be any change in premium." If you are looking for ways to reduce your health insurance premium, city-based health insurance policies offer a solution. But before signing up, understand how payouts are made for treatments outside the city you live. If you are ready to pay extra, go for standard policies with full coverage. Yashish Dahiya, founder and CEO, policybazaar.com, says: "Ideally, in higher age bands, it's preferable to pay extra upfront to get all-India coverage than confining yourself to a zone." Health insurance premium can be considerably different based on the city you live in. Make your decision after weighing in all the factors.